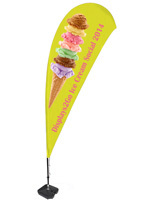 This three color flying banner is a great marketing tool for attracting potential clients at any event. 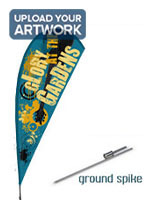 Ideal for indoor or outdoor use, these teardrop flags come with a water base. 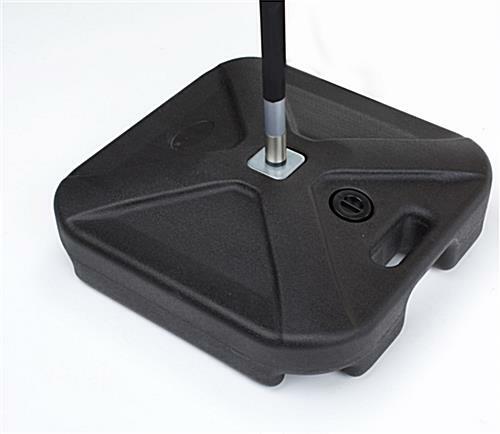 The plastic base with each custom flying banner is lightweight for transporting between functions. 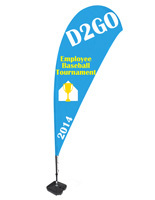 These easy to use displays are used at sporting competitions, concerts, summer festivals, and more. 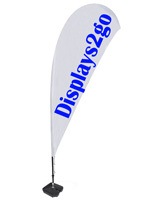 Place a flying banner outside a shop for more exposure to passing customers. 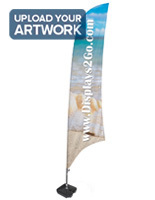 Each flag is custom made to promote any brand, product, or service.